Stunning. 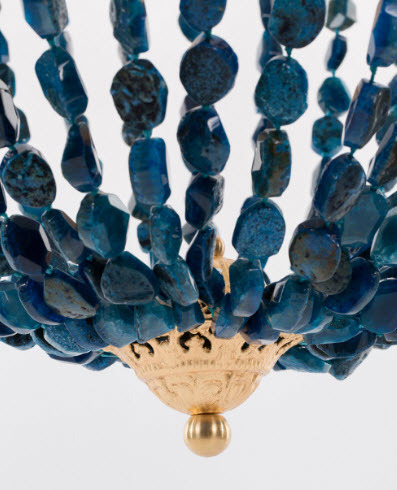 The deep, rich color of the Blue Agate gives a cool energy and evokes a soothing emotion. 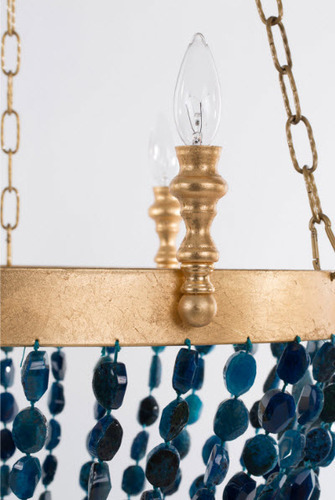 The Gold-leaf Iron Chandelier with Blue Agate nugget beading is truly a statement piece for your foyer, living room or dining room. Custom made by artisans in the US. Brass Hardware and takes six Type B bulbs 60 watt max. The GiGi can be customized. Please let us know your desired clearance giving ceiling height and hanging fixture drop in the Special Instructions box at checkout. In stock lights ship in 1-2 weeks. 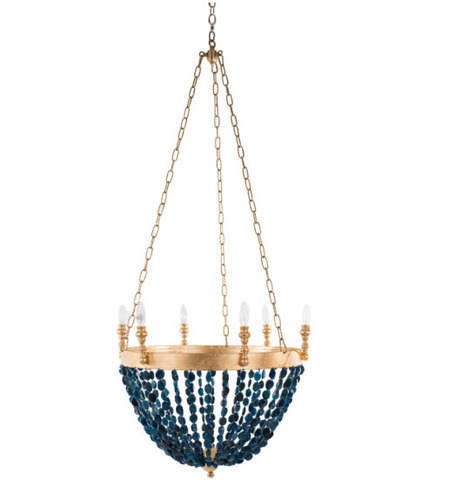 Custom chandeliers made in 4-6 weeks. In stock item can be returned with 20% restocking fee. Custom made chandelier is not eligible for return or exchange. Please view our return policy for more information.